The ACC had 45 players chosen during the 2018 National Football League Draft, which concluded on Saturday at AT&T Stadium in Arlington, Texas. The total was the second-highest by any conference. That total also makes the ACC one of two leagues in the nation to have had at least 40 draftees in four of the last five years. In all, during that time the ACC has had 234 players drafted, the second-highest total of any league. In all, the ACC had 28 players selected in the final four rounds, including nine players chosen in the fourth round, six players in the fifth round, six players in the sixth round and seven players in the seventh and final round. The league had six first round choices on Thursday and 11 drafted in the second and third rounds on Friday. 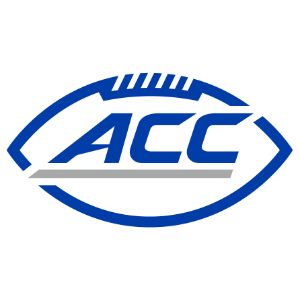 The six ACC football players chosen in the first round of the Draft, brought theleague’s total to 79 first-round draftees in the last 14 years. NC State led all ACC schools with seven selections, a school record for the draft for the Wolfpack, topping a total of six draftees in 2006. Florida State and Miami each had six draftees, with Virginia Tech having a total of five. Louisville had four players chosen, followed by Boston College, Clemson, North Carolina and Pitt with three each, Virginia nd Wake Forest with two apiece and Syracuse with one player drafted. All four members of NC State’s defensive line were drafted in defensive ends Bradley Chubb and Kentavius Street and defensive tackles B.J. Hill and Justin Jones. Chubb was the first ACC player chosen, tabbed fifth overall in the first round by the Denver Broncos. The 2017 ACC Defensive Player of the Year, Chubb was a consensus first-team All-American who set the NC State career with 60 tackles for loss and 26 sacks. Chubb broke the records previously held by Mario Williams, the No. 1 pick in the 2006 NFL draft. Chubb is the Wolfpack’s 16th overall first-round draft pick and the highest selection from NC State since Williams in 2006. The Wolfpack also had running back Nyheim Hines chosen in the fourth round by the Indianapolis Colts, offensive tackle Will Richardson in the same round by Jacksonville and versatile fullback Jaylen Samuels tabbed in the fifth round by Pittsburgh. When Miami DE Chad Thomas was selected on the third round of the draft as the 67th overall pick by the Cleveland Browns, he continued a streak that has seen the Hurricanes have a player chosen in each draft every year since 1974, or 44 consecutive years. The Hurricanes also had tight end Chris Herndon IV selected by the New York Jets and running back Mark Walton tabbed by the Cincinnati Bengals, both in the fourth round; defensive tackle RJ McIntosh to the New York Giants in the fifth round, wide receiver Braxton Berrios by New England in the sixth round and defensive tackle Kendrick Norton to Miami in the seventh round. Florida State continued its own streak of 34 straight drafts with a player chosen when S Derwin James was taken 17th overall in the first round by the L.A. Chargers. FSU’s streak ranks second among all ACC teams. Since 2010, Florida State has had 10 defensive backs drafted into the NFL. The Seminoles also saw defensive tackle Derek Nnadi (Kansas City) drafted in the third round, offensive tackle Rick Leonard (New Orleans) and defensive end Josh Sweat (Philadelphia) chosen in the fourth round and tight end Ryan Izzo (New England) and wide receiver Auden Tate (Cincinnati) in the seventh round. Virginia Tech set NFL Draft history on Thursday, the first time a pair of brothers have been selected in the first round of the same draft when Virginia Tech LB Tremaine Edmunds the sixth was taken 16th overall by the Buffalo Bills and his brother, S Terrell Edmunds, was selected 28th overall by the Pittsburgh Steelers. The Hokies have now had a player taken in each of the last 25 NFL Drafts, or every year beginning in 1984. In addition to the Edmunds, Tech saw defensive tackle Tim Settle get drafted by Washington in the fifth round, offensive guard Wyatt Teller also taken in the fifth round by Buffalo and safety Greg Stroman tabbed by Washington in the seventh round. Louisville cornerback Jaire Alexander was picked 18th by the Green Bay Packers. With the final pick of the first round at No. 32, Louisville quarterback Lamar Jackson was picked by the Baltimore Ravens, giving the Cardinals two first-round selections for the first time since 2014. The Cardinals later had T Geron Christian selected in the third round by the Washington Redskins and DE Trevon Young chosen in the sixth round by the L.A. Rams. Boston College had three players chosen: DE/OLB Harold Landry in the second round at No. 41 by Tennessee, CB Isaac Yiadom as the 99th overall selection in the third round by Denver and cornerback Kamrin Moore, who was taken in the sixth round by the New Orleans Saints. With OLB Dorian O’Daniel selected as the 100th overall and final pick in the third round, Clemson continued its streak of 16 consecutive years with a player selected in the NFL Draft. Since 2010, the Tigers have had 47 players drafted. O’Daniel was joined by wide receiver teammates Deon Cain (Indianapolis) and Ray-Ray McCloud (Buffalo), who were each selected on the sixth round. Pitt had three layers selected in the draft in offensive tackle Brian O’Neill, selected in the second round by Minnesota and a pair of defensive backs taken in the fourth round in S Jordan Whitehead, tabbed by the Tampa Bay Bucs, and CB Avonte Maddox, chosen by the Philadelphia Eagles. North Carolina also had three players drafted, including second-round selection cornerback M.J. Stewart by Tampa Bay on Friday and linebacker Andre Smith (Carolina) and wide receiver Ricky Proehl (Buffalo) in the seventh round. Virginia had two players taken in the fifth round. Linebacker Micah Kiser, who led the ACC in tackles for three consecutive seasons, was taken by the L.A. Rams and defensive tackle Andrew Brown who was chosen by Cincinnati. Kiser was the winner of the 2017 Campbell Trophy which is given annually by the National Football Foundation to the nation’s top scholar-athlete. Prior to Kiser, only one other player has ever led the ACC in tackles for three seasons and that was former Boston College consensus All-America Luke Kuechly. Wake Forest also had two players chosen in safety Jessie Bates III, who was a second-round selection by Cincinnati, and defensive end Duke Ejiofor, who was selected in the sixth round by Houston. Syracuse had one player drafted in linebacker Zaire Franklin, who was chosen in the seventh round by Indianapolis.